For many people the world of property investment appears pretty straightforward. Surely you just buy a house and rent it out, right? However, scratch the surface and it’s clear that the property world offers an abundance of different strategies. So which is the best one for you? Some offer great long-term equity growth whilst others focus on generating income. Some require your own capital to be invested whilst others can be done with none of your own money. So, how do you decide which is going to be the best strategy for you? And should you explore more than one strategy to avoid having all of your eggs in one basket? 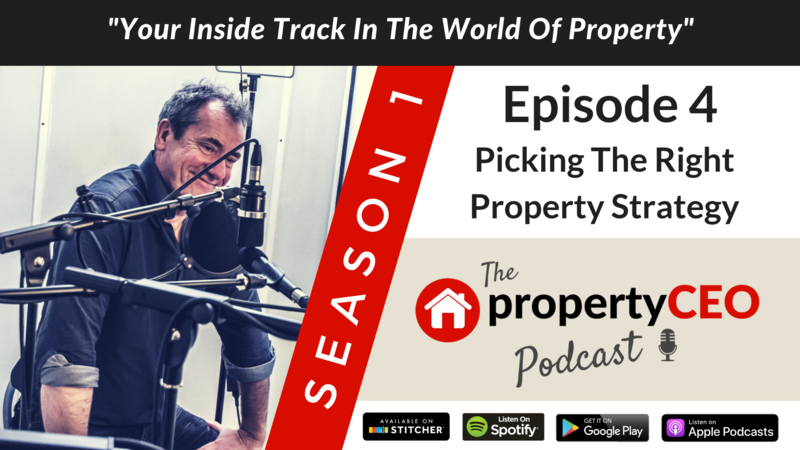 With over 35 years of property experience Ritchie Clapson knows a thing or two about property strategies, and in this enlightening episode he lifts the lid on the most common ones – their pros and cons AND the things you need to look out for. Buy-to-lets, HMOs, Rent-to-Rent, Commercial Conversions, New Build, Serviced Accommodation – they’re all covered here. So sit back and enjoy the ride as Ian and Ritchie guide you the minefield in their own inimitable way. For more propertyCEO, follow us on Facebook @propertyceotraining and on Twitter @ Property_CEO, or go to our website propertyceo.co.uk.